Eros Retail has opened its ninth Greens store after receiving a £945,000 finance package from HSBC Bank. 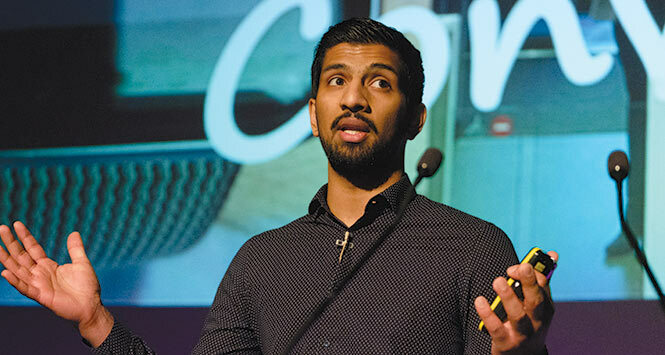 The company, run by former SLR Rewards Retailer of the Year Harris Aslam (pictured), also plans to open four more stores – two by April – with the funds. The new opening is a Greens Local in the Fife town of Cardenden. Eros Retail employs 145 staff, but this latest round of expansion will see the total rise to 200. The company’s last growth spurt came in 2017, when it opened a Little Greens in the Fife village of Coaltown of Balgonie and a Greens in Dundee city centre. All of the stores operate under the Nisa fascia. Little Greens is a smaller store format with a focus on food-to-go, while Greens Local is the chain’s value store proposition.